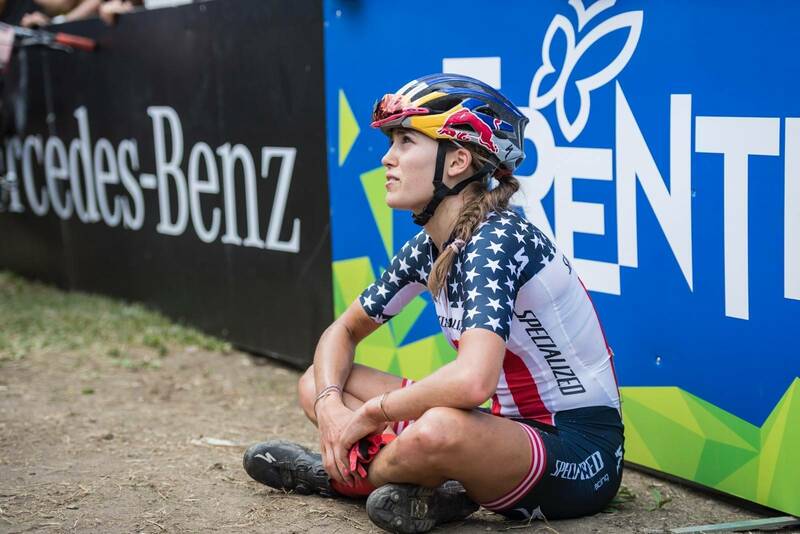 Jolana Neff went out too hot in the short track - what would today bring? Bec McConnell in the rocks. PFP lead for much of the race - was she heading back to the top step? Maja moved up after a less than ideal start. 45 and on the podium. Why retire? Emily Batty sucking in oxygen, and finishing 2nd. MVDP - was this going to be his race? 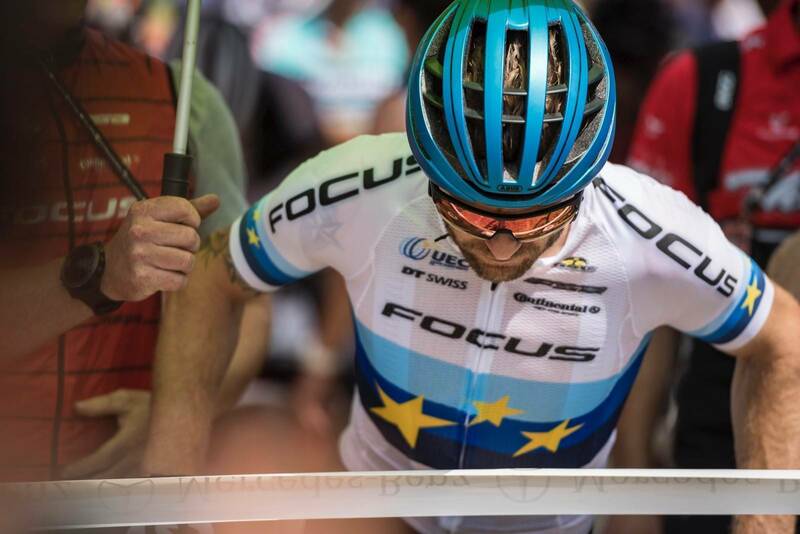 All eyes were on MVDP after his short track win. Florian Vogel - loves a race. Rohrbach finds some air time. 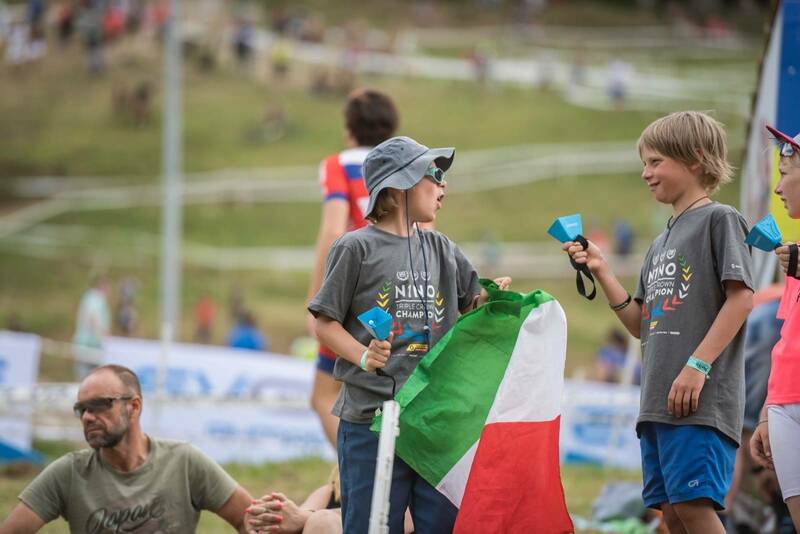 The XCO World Cup returned with a trip to Italy - and it didn't disappoint! 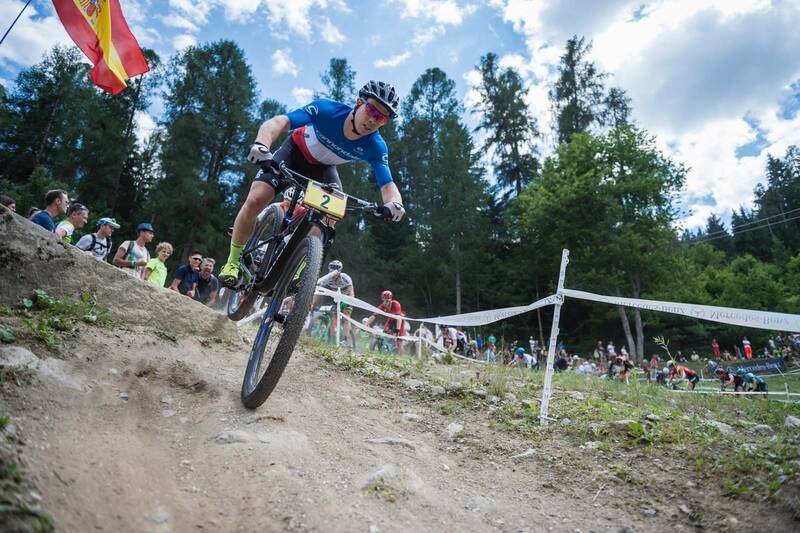 After a hiatus in racing, this 2018 XCO World Cup was back this weekend, visiting Val di Sole in Northern Italy. But the gelato would have to wait - as the world's best would be duking it out in Short Track and Olympic Cross-Country first. Short Track was as expected - blazingly fast. 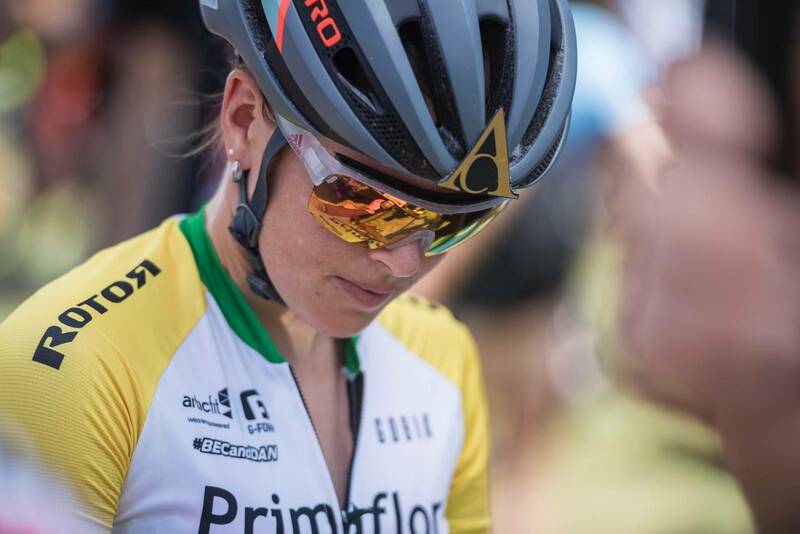 While XCO World Champ Jolanda Neff fired off from the gun, it would be Annika Langvad who won, making it 3 from 3 for the Dane. 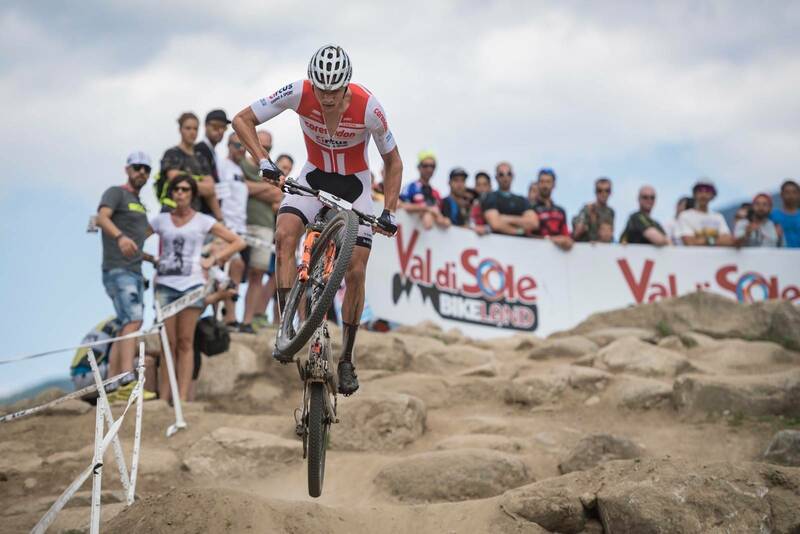 In the men's eyes were on Nino Schurter, Sam Gaze and Mathieu van der Poel. When MVDP attacked on the 7th lap it seemed too early - but it stuck, and he took his second Short Track win. 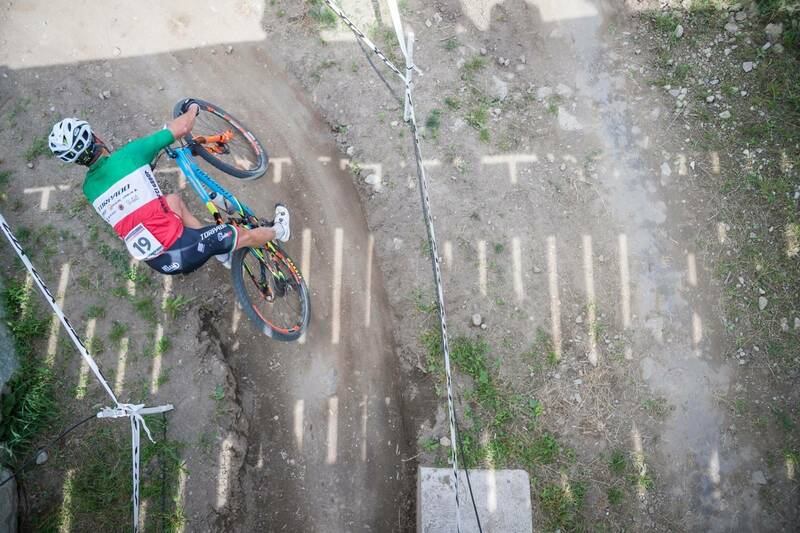 After the action with Downhill on Saturday - attention then fell to the big show - the Olympic distance cross-country. What's all this uphill business about? 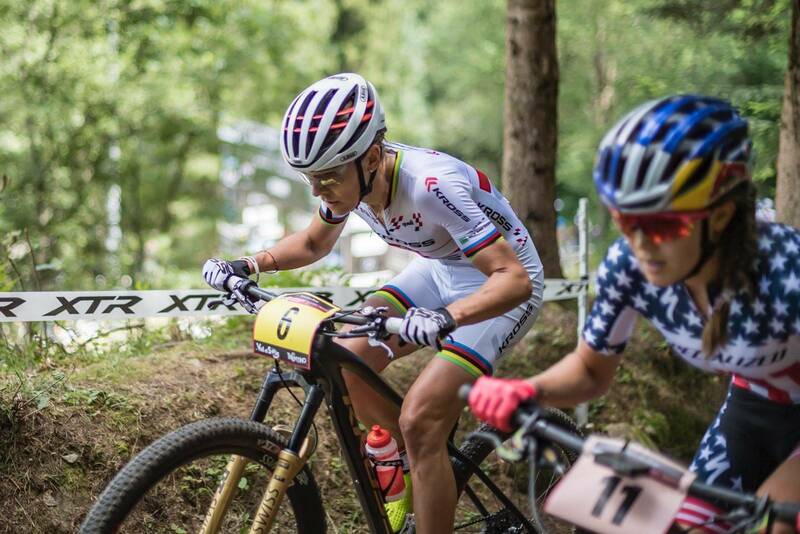 The women's race got off to a dramatic start as Danish title leader Annika Langvad, who won the XCC short track was out early wih injury. The cameras don't show everything but it looked like there was a crash in the grassy start loop - perhaps through a compression or even if the bunting narrowed a little more than expected. 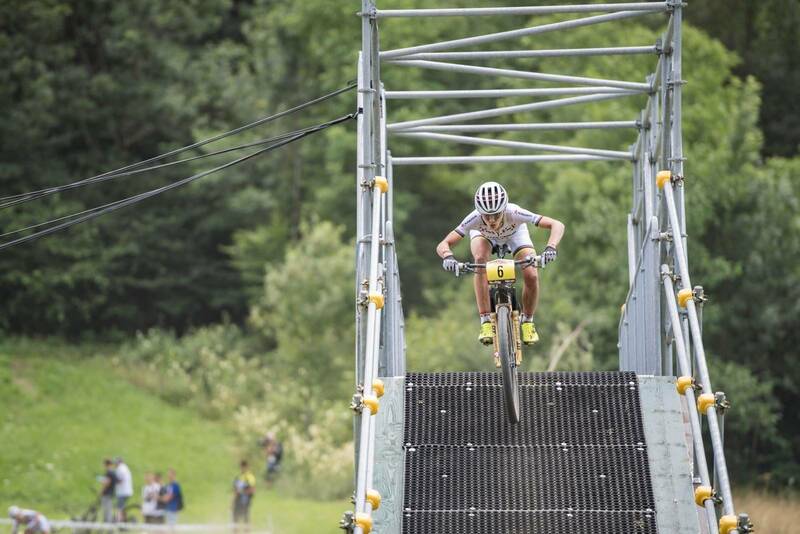 A few other leading riders got caught out - including Annie Last and Anne Tauber. 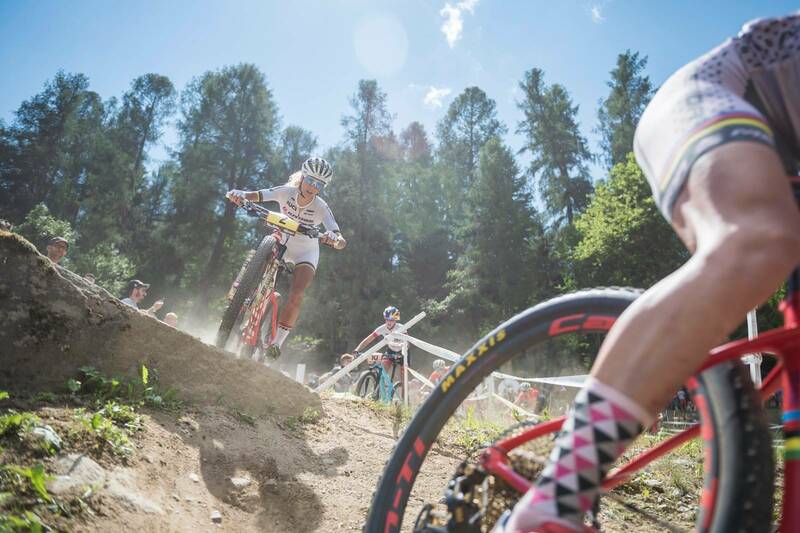 Post-event reports suggest that Langvad hasn't broken any bones, but her left wrist is strapped up. 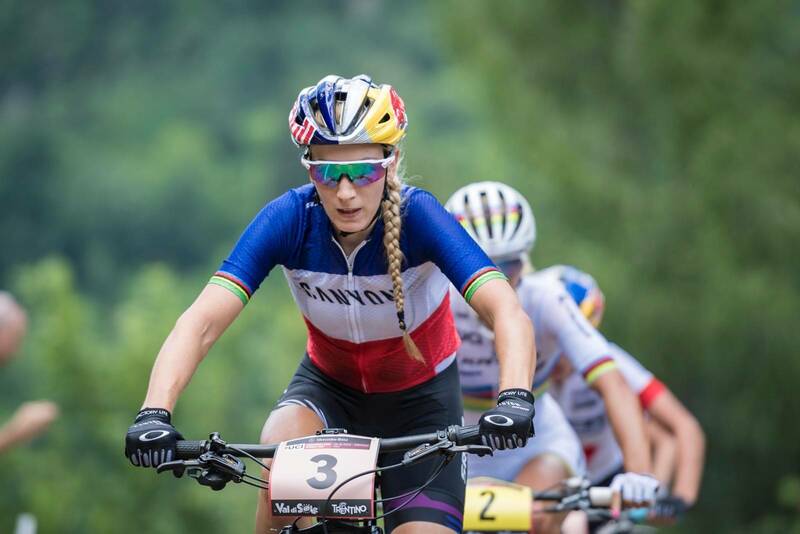 Current world champion Jolanda Neff, France's Pauline Ferrand-Prévot and Włoszczowska broke free with Batty joining the trio later in search of her first World Cup win. Ferrand-Prévot lead the charge for more than half the race, but then faded. Włoszczowska, Neff and Batty were away. 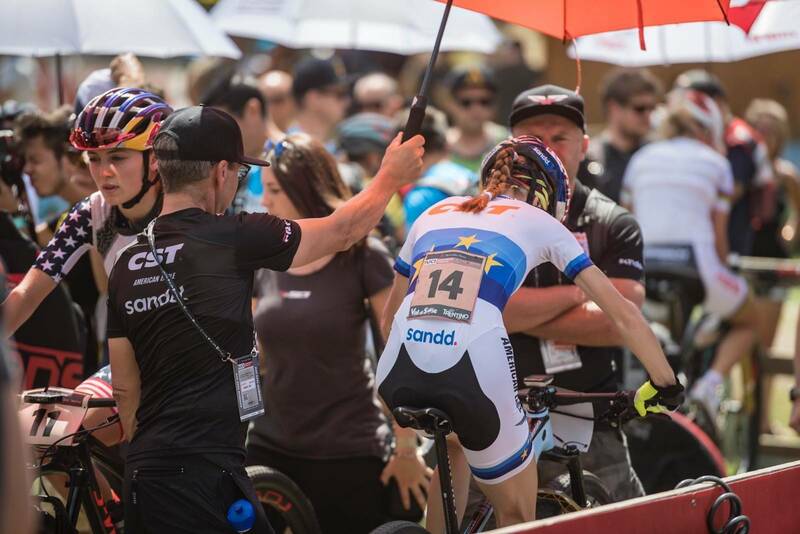 Włoszczowska had been solo but Neff tried to bridge on a descent - would she bring Batty along to her Kross team mate? All three ended up together, but Włoszczowska edged ahead again. 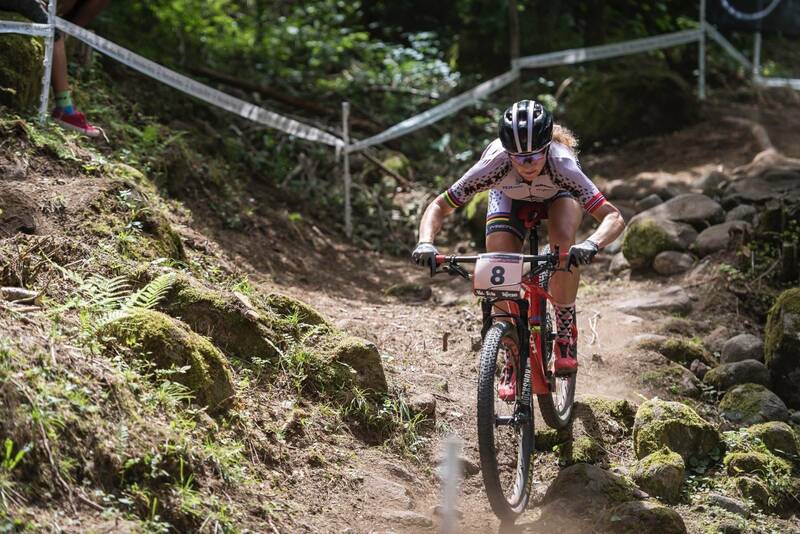 Then Switzerland's Neff lost momentum on one of the final climbs with Batty leaving her charge too late to catch Włoszczowska at the line. 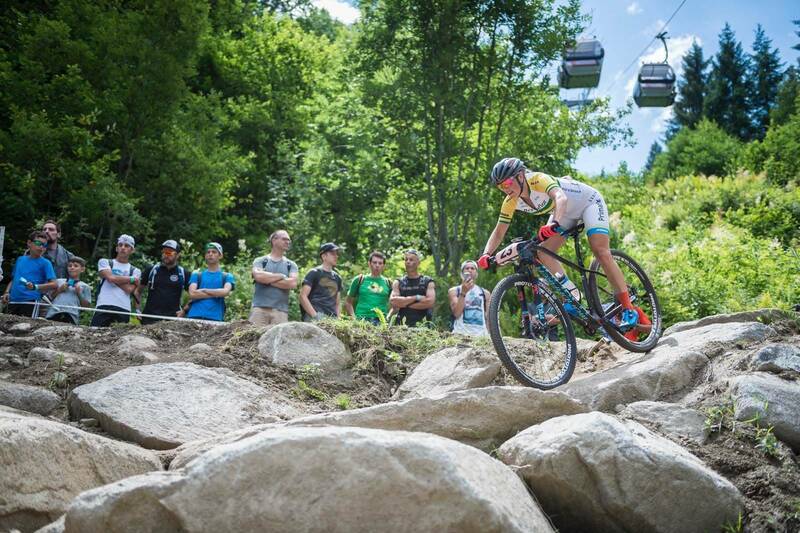 Neff ended third and Ferrand-Prévot fourth with Norwegian Gunn-Rita Dahle Flesjå the oldest rider to finish on a WC podium aged 45 - her 70th World Cup podium in total. 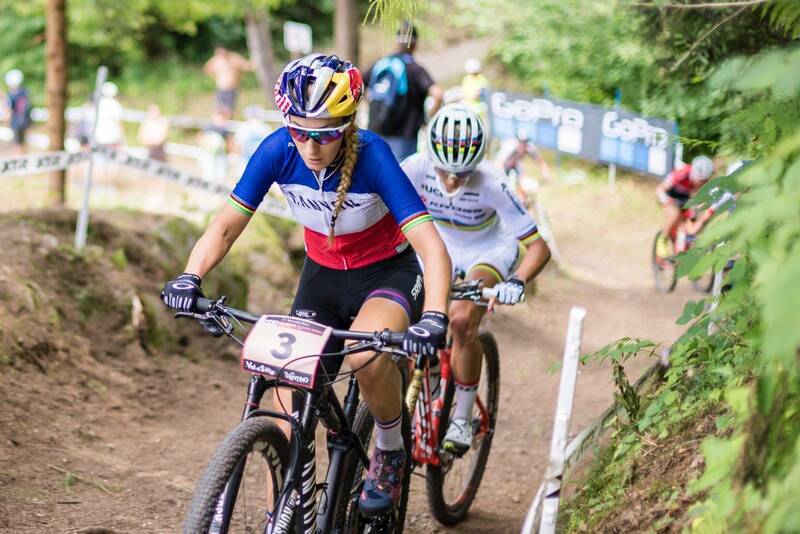 Włoszczowska was left to celebrate her first XCO World Cup win since 2012 after a series of podiums including XCO silver at the Rio Summer Games in 2016. Włoszczowska said: "It means that I am still young and powerful! I was feeling better and better the more the race went on. Focus and don't make any mistakes. Push hard until the end and don't think about the result." Batty, 30, revealed: "I was just chasing and turning myself inside out trying to bring Maja back. Few seconds short this week. I was so damn close to that win." Kate Courtney sits and reflects. 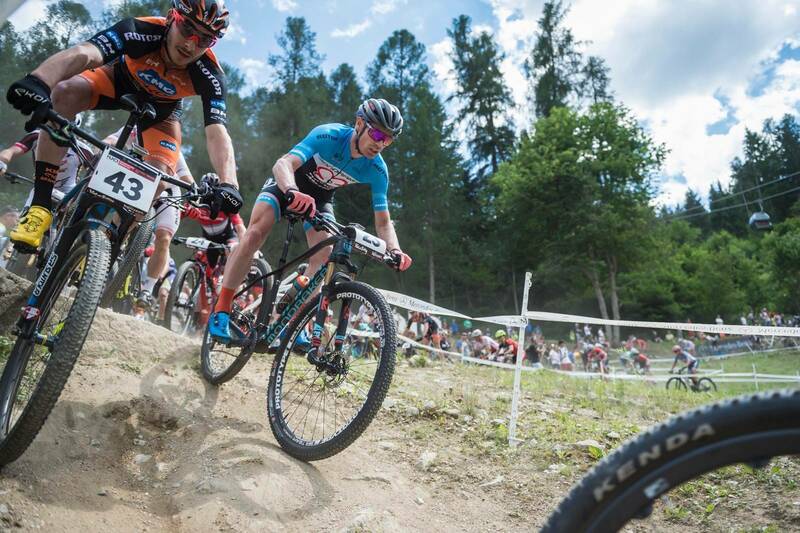 Who can topple King Schurter? 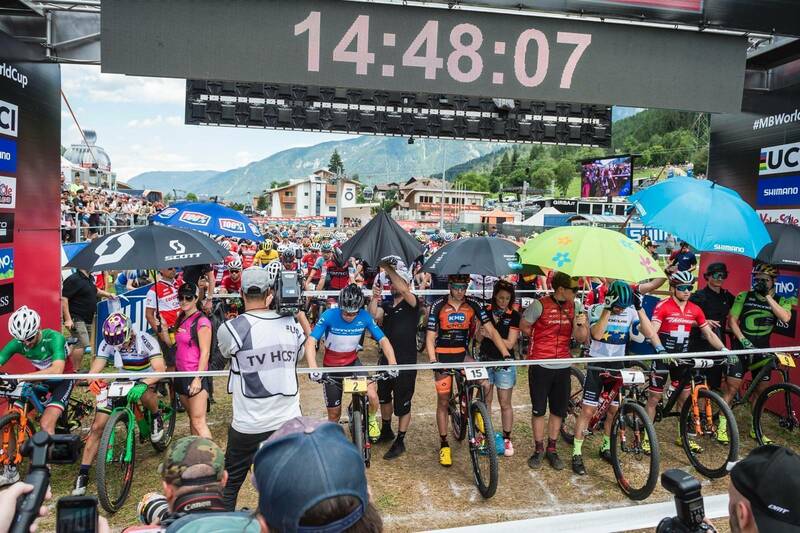 The men's race was guaranteed to be on fire. 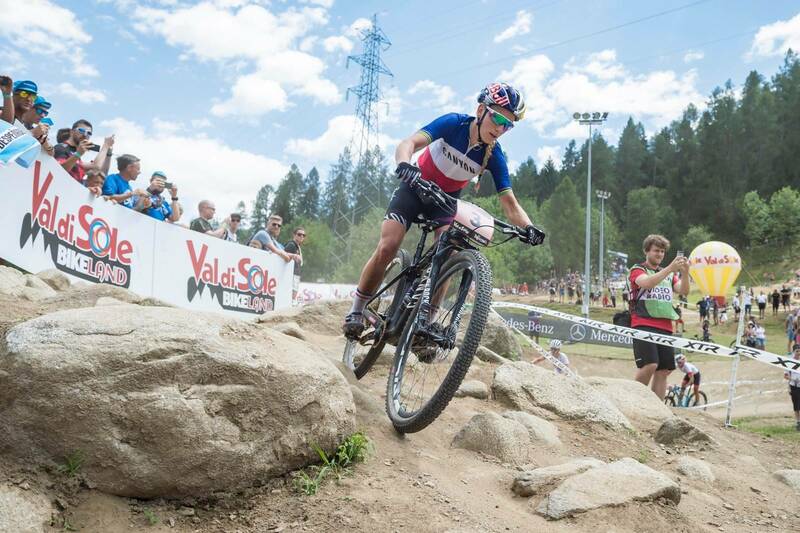 MVDP had won the short track, but really that just puts Schurter on the back foot. 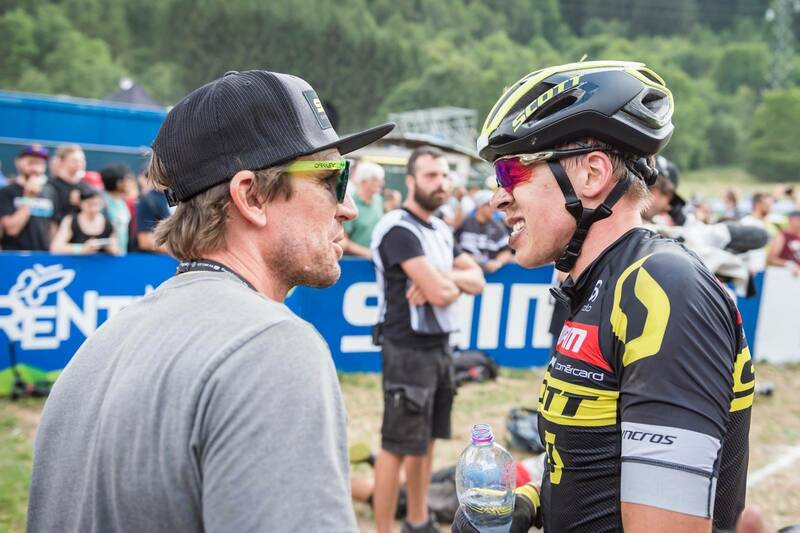 The Swiss star feels that 2nd place is last place, and he does not take being beaten lightly. 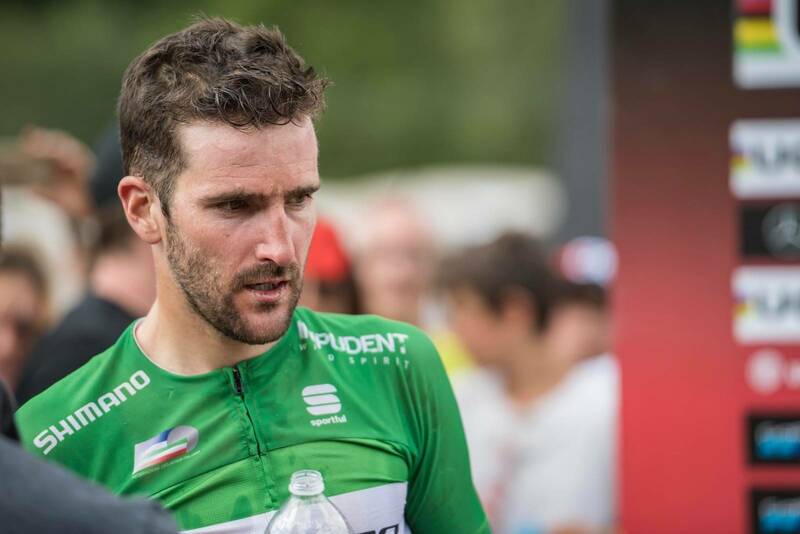 A number of riders were among the front group for the start of the race, and Italian riders were particularly active, with a boost of racing on home soil. But it was Brazilian Henrique Avancini who lead first, charging into the opening lap. 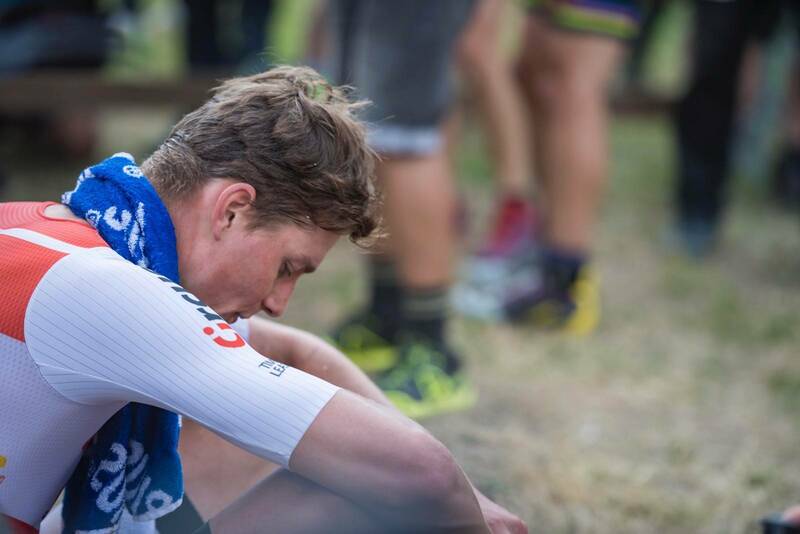 Van der Poel was in the hunt but it just looked like Schurter wasn't going to give an inch to anyone, and then Schurter was away solo. 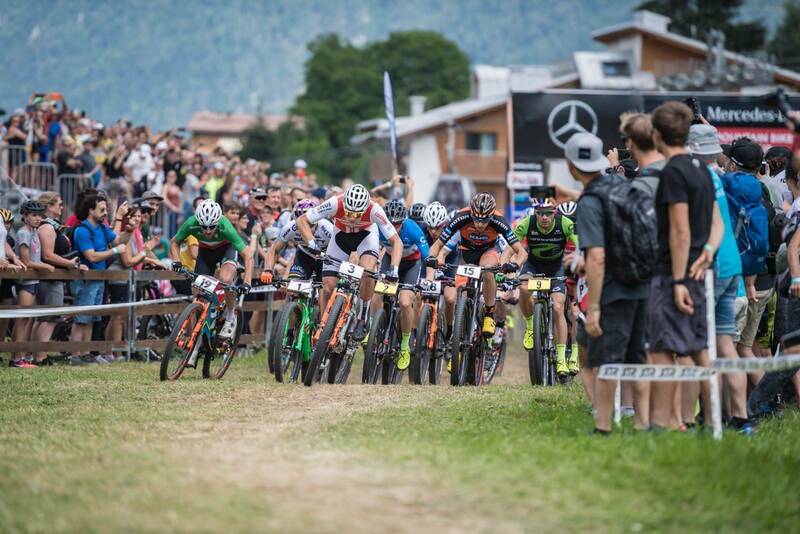 The Swiss star held off local hero Gerhard Kerschbaumer, who rode a super fast lap to get across to Schurter. 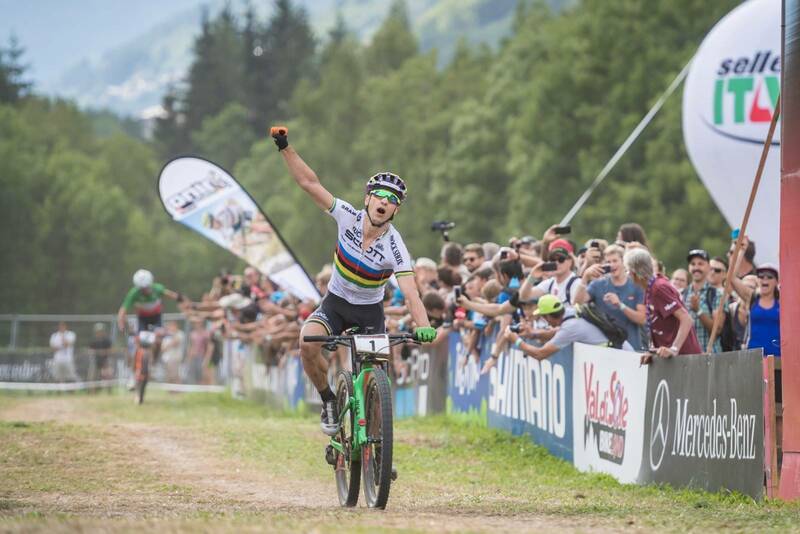 Italian Kerschbaumer, though, wanted to put a smile on his fans' faces and kept pace with the Swiss until the final downhill section when Schurter pulled away for his third win in a row. 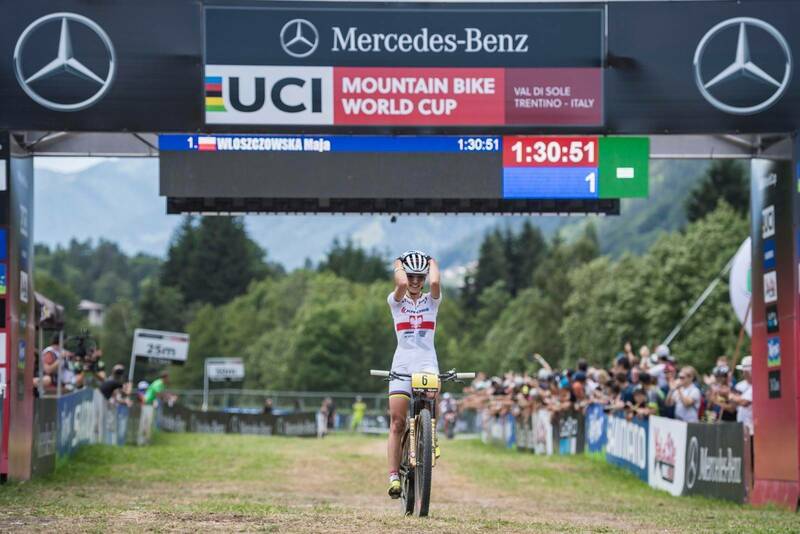 "I am super happy with my 29th World Cup win," said Schurter. 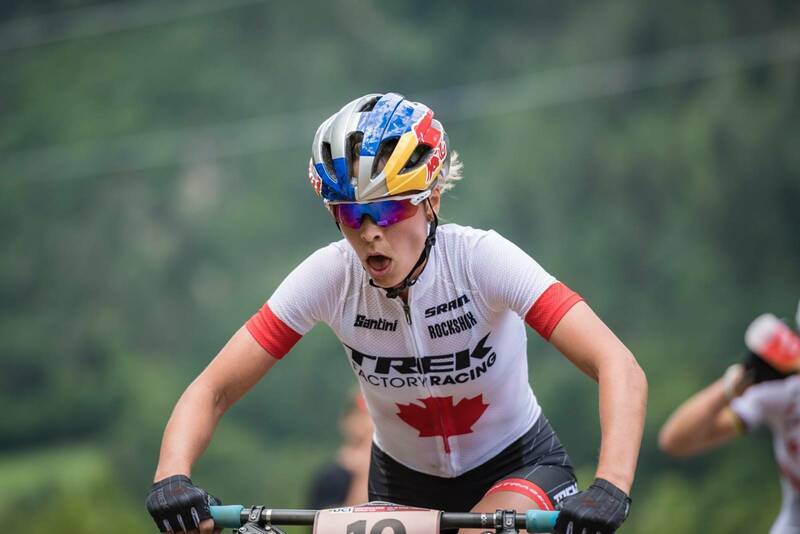 "Val di Sole is always amazing to compete at - it is a demanding course, the crowds are great and it is always super tight. I was working hard to get away soon, that's why I suffered in the last laps. It again was a great final. 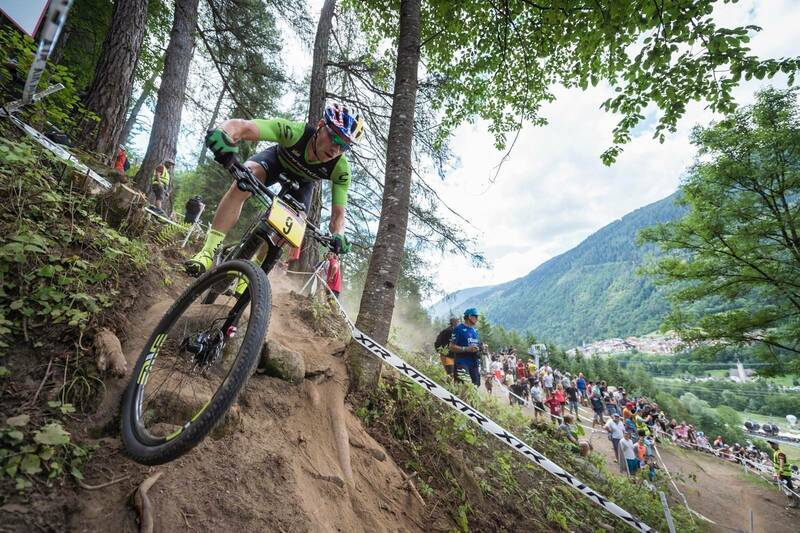 I am looking forward now to the race in Andorra this coming weekend." 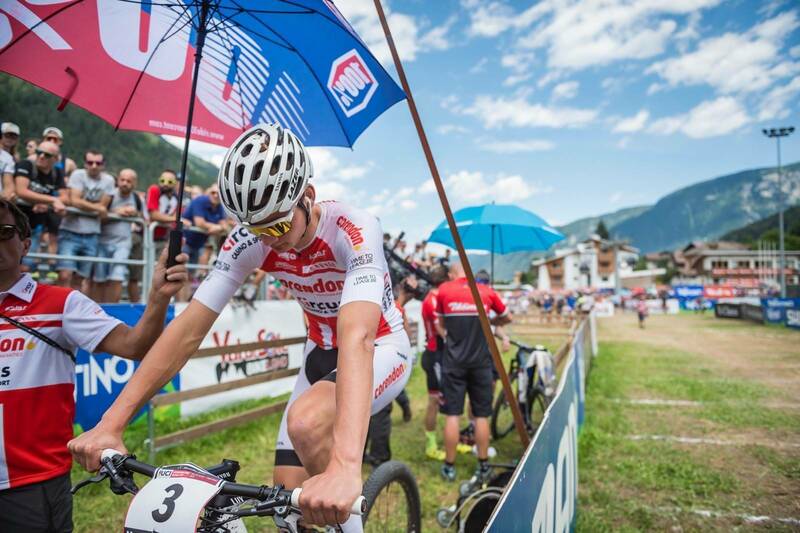 Van der Poel held off Henrique Avancini, who became the first Brazilian to record a World Cup XCO podium, with Switzerland's Florian Vogel trailing in fifth. 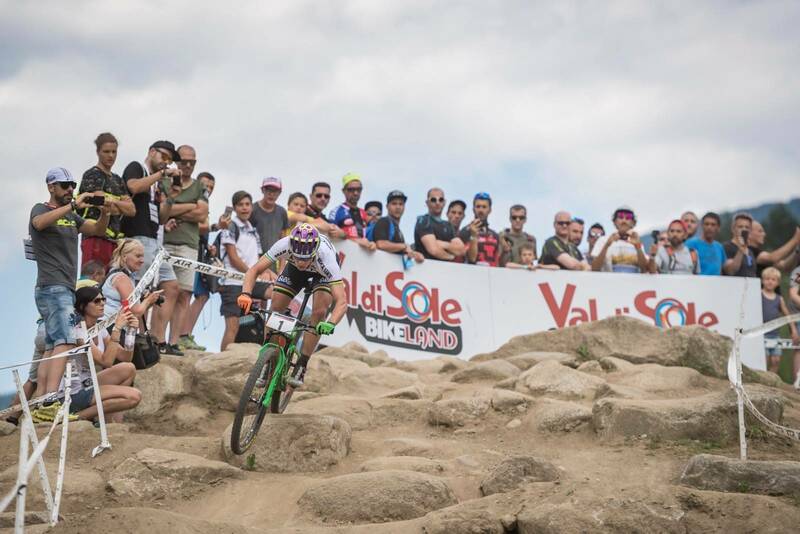 Schurter revealed "I knew from the previous year that the finish is really short and super bumpy, so my goal was to try and get a little gap in the downhill and go all out. I would say I am in awesome shape and I am super happy about my form." 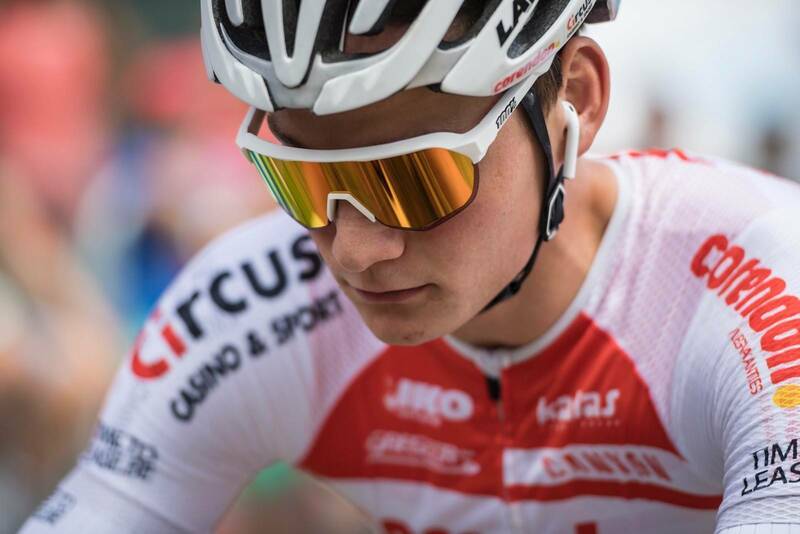 Kerschbaumer was one of the great Italian hopes a few years ago, coming out of U23 but not quite making the impact expected. 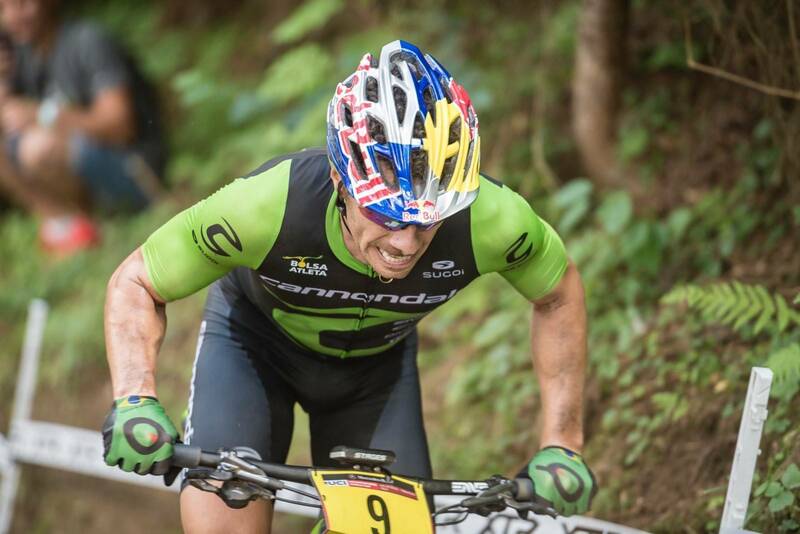 But his 3rd place in Mt St Anne last year showed that the talent was still there. 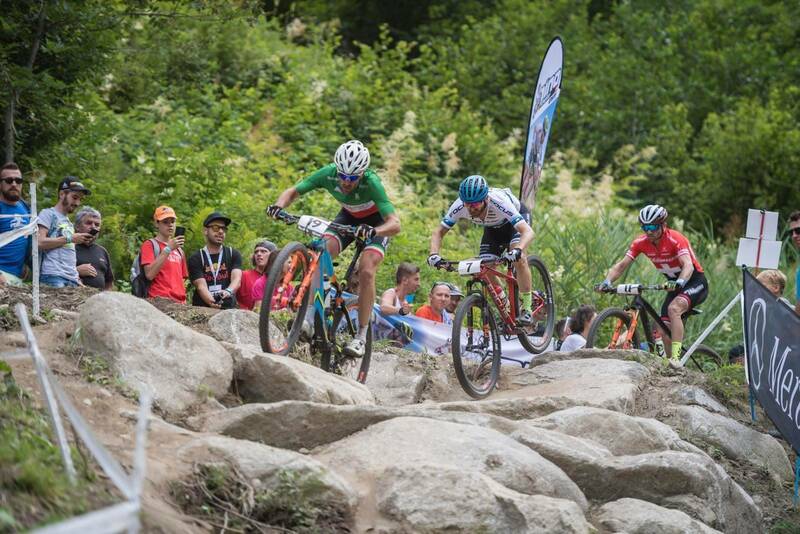 "Today I am really happy with second place. All the fans stayed with me today. Last year I had a crash here, so this year was really good." 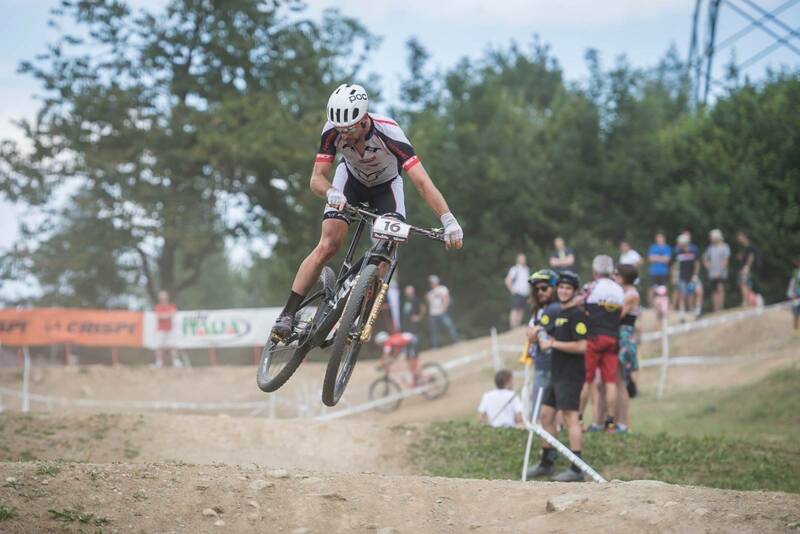 Dan McConnell had a great ride to 29th, a strong result as the World Cup moves into the second phase of racing for 2018.